Our Sweet Tooth: Melting Chocolate For Decadent Desserts and Confections! Melting Chocolate For Decadent Desserts and Confections! When using chocolate for desserts it is often necessary to melt it before hand to achieve the textures you want in your confection. There are some tricks to melting chocolate that you need to be aware of before you begin. It is a bit of a delicate process because chocolate burns easily over direct flame. There are basically two methods for melting chocolate. One is in a double boiler and two is in a microwave. A personally prefer the double boiler method over a microwave, but I will discuss both techniques for option sake. Both ways are effective as long as you are focused, paying attention to the task at hand. It takes a bit of patience for sure, but once you understand that it needs slow, steady heat and frequent stirring you are ready to begin melting. The point that chocolate melt is between 86-96 degrees, but it needs to be brought up in temperature slowly. Keeping the chocolate in constant motion while heat is applied is important. This ensures even melting and that a skin does not form on the top. Dark chocolate is easier to melt that milk chocolate because of milk fats and solids that coagulate with heat. The general rule is to not heat dark chocolate over 120 degrees or milk chocolate over 115 degrees. This technique provides a kind of cushion that protects the chocolate from close contact with the heat source. A double boiler is basically a glass or stainless steel insert that sits over a pot of heated water. Double means there are two kinds of pots involved. You can use an actual double boiler, which you can buy. Or you can make one by placing a stainless steel bowl over a pot of water, fitting it inside so it is in contact with the hot water. When melting your chocolate make sure the water level is no more than an inch so no water gets into the chocolate. Turn the heat on low and bring it up to almost a simmer. Place enough chocolate inside so you are still able to stir it appropriately with a rubber spatula. It is important not to "boil" the water. When the chocolate is halfway melted turn off the heat source and allow it to continue while you stir it. Be sure not to cover the pan, this will create condensation and water in your chocolate. This is a simple technique which involves chopping the chocolate into pieces and placing them in a microwave safe bowl. 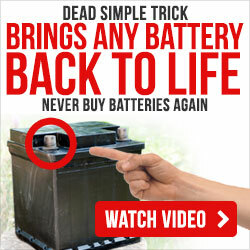 Use low power and turn on for 15 seconds and then take out and stir it. Repeat until the chocolate is close to melted. With this method it is hard to see if chocolate is actually melted because it still might retain a shape, the inside might be done but the outside just needs to catch up, so beware! It just takes a bit of practice to get these two main methods of melting chocolate down. But once you do you can then create all kinds of exotic desserts and treats for friends and family. 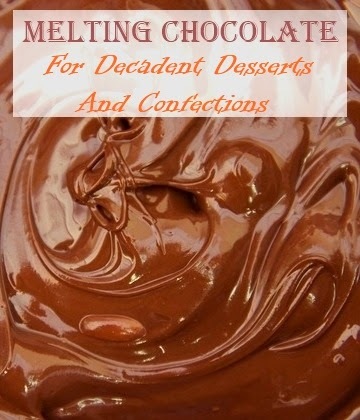 There are literally countless ways to use melted chocolate; most cookbooks have at least a few recipes. Soon you will be a professional chocolatier making all kinds of amazing confections to delight in.